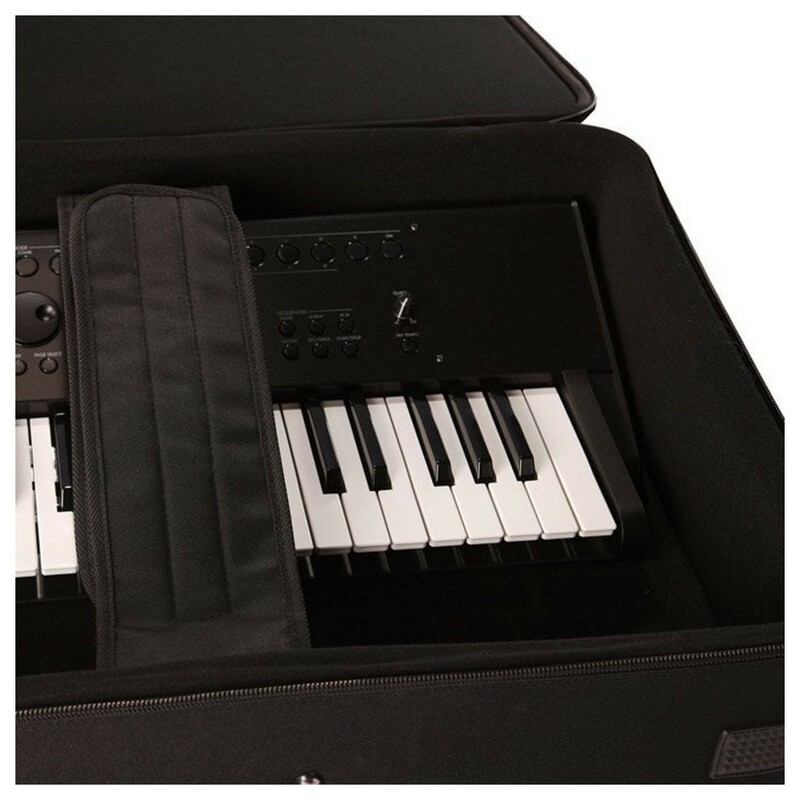 The Gator GK-76-SLIM Rigid EPS Foam Lightweight Case has been designed to help protect and transport your slim 76-note keyboard. 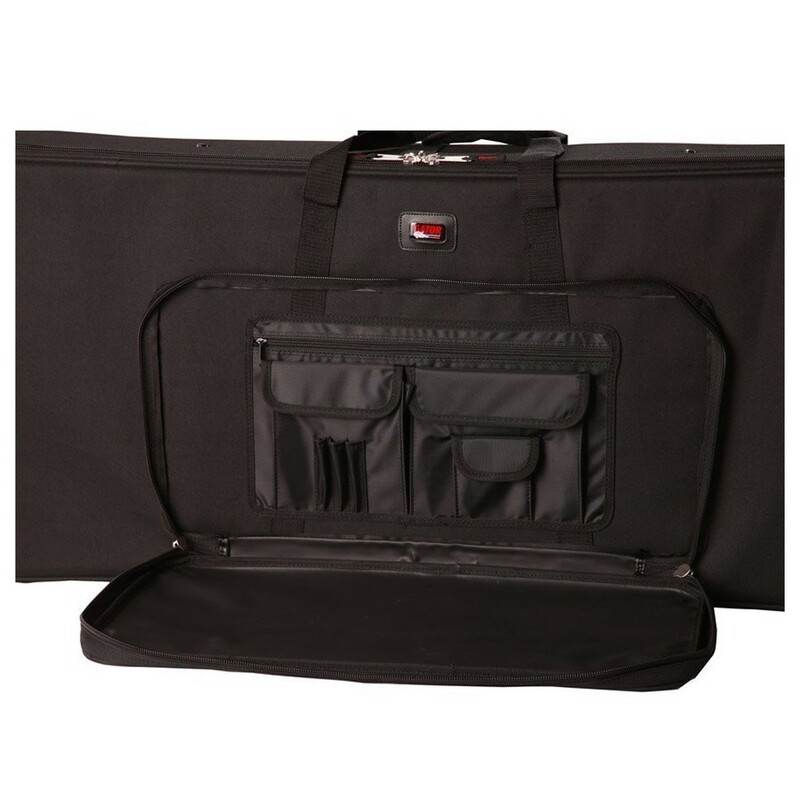 It's rugged nylon exterior provides outstanding protection. 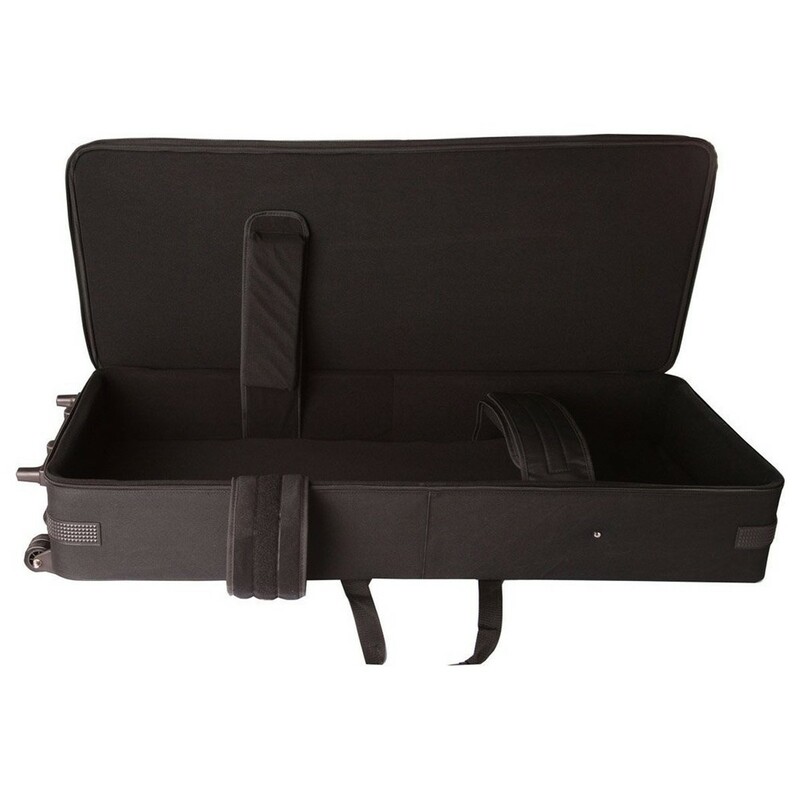 The interior of this case is lined with Tricot and soft foam for cushioning protection. 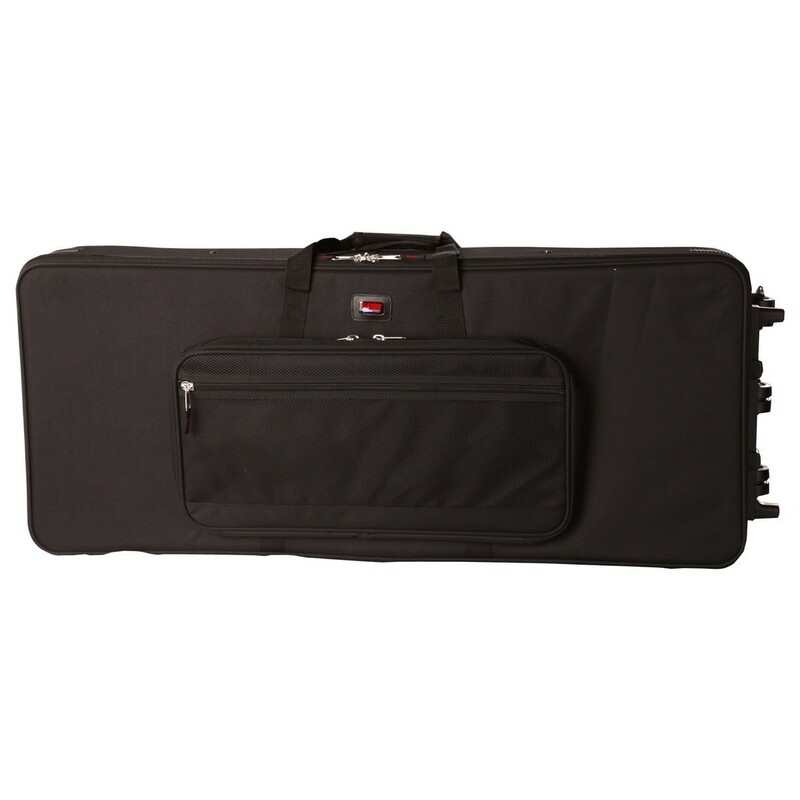 The GK-76-SLIM keyboard case features fully adjustable padded straps to hold your keyboard securely in place during transit. 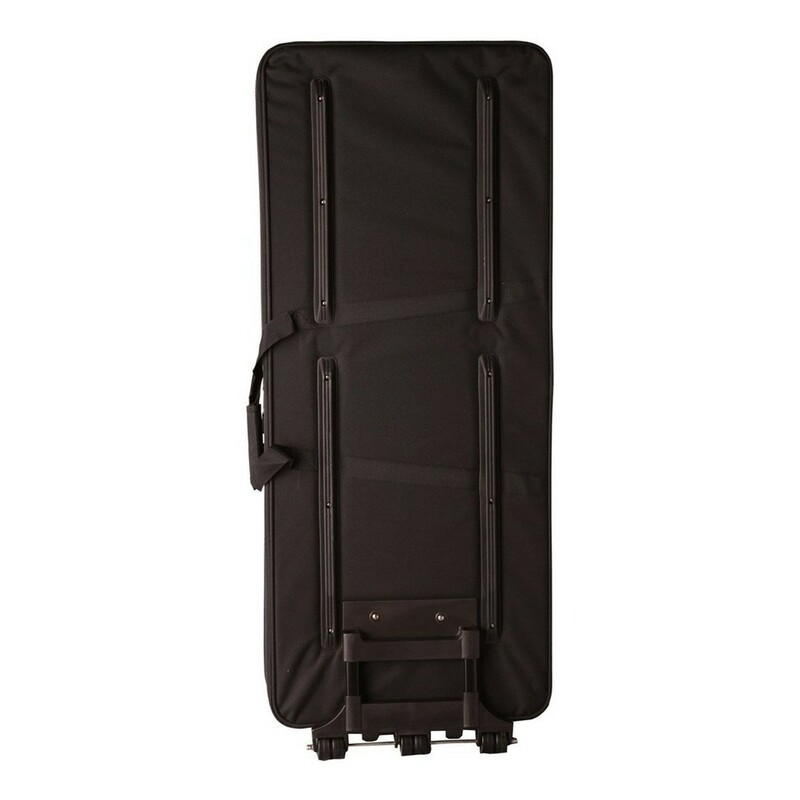 The case features built-in wheels and a tow handle for enhanced portability, as well as internal compartments for storing your accessories. 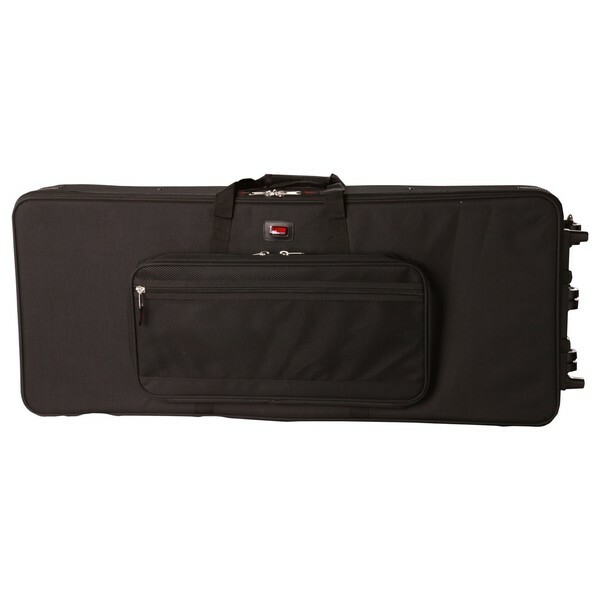 The case's skid bars allow the case to slide smoothly over surfaces with minimal friction and snagging. Please Note: The Gator GK-76-SLIM Case does not include the keyboard shown held within the case. Gator cases was launched in 2000 and has slowly grown to be one of the market leaders in heavy-duty equipment cases. To further boost the company's expertise in case design and engineering, Gator now works with leading companies around the world to build custom cases for original equipment manufacturers. Now offering over 1000 different designs including vacuum-formed plastics, rotational-moulded plastics, wood, sewn, and EVA materials, Gator has a case for every eventuality.